Tina Modotti was born on August 17, 1896 in Udine, a small town in northern Italy. Her father, Guiseppe Modotti, was a machinist by trade and a socialist/trade unionist who struggled to support the growing Modotti family during a time of economic hard times in Italy and nearby Austria. Before Tina was ten, Guiseppe left Italy for America with plans to earn enough money to send for his wife and children. He settled in the bustling Italian sector of San Francisco. His departure plunged the family deeper into poverty and Tina and her older sister Mercedes began working in the nearby silk factory to help support the family. When she was 14, her older sister Mercedes joined her father in San Francisco and Tina became the only adult wage earner in the family. The suffering and hunger of her four younger brothers and sisters deeply affected her view of the world and the importance of the struggles of working people. In 1913, the year of greatest Italian immigration to the United States, Tina joined her father and sister in San Francisco. At seventeen she travelled alone on a two week voyage across the Atlantic to New York, and then on the long train journey across the United States to Oakland and then finally by ferry to San Francisco. Her father Guiseppe and her sister Mercedes welcomed her at the North Beach dock when she arrived. Her new home was a first floor two bedroom flat at 1952 Taylor Street on the north east slope of Russian Hill, considered one of the better parts of town. Their bay window caught a tiny glimpse of the bay. Guiseppe had opened a photography studio in Little Italy when he first arrived and Americanized his name to Joseph. But that shop closed after a year and by the time Tina arrived he had his own machinist workshop on Montgomery Avenue, where he later designed a popular ravioli machine. Mercedes worked as a seamstress at I Magnin which advertised itself as importers, manufacturers and retailers of ladies', childrens' and infants' wear. Tina joined her in the sweatshop. But Tina and her family enjoyed their free time to the fullest in the surrounding countryside and in Little Italy itself. In 1913 organizations like the IWW attracted many immigrants who brought with them a tradition of union activism. 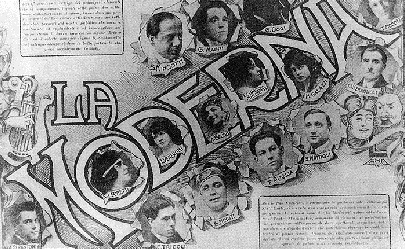 There was also a very popular Italian theater revival, with the Washington Square theater only two blocks from the Modotti's home. 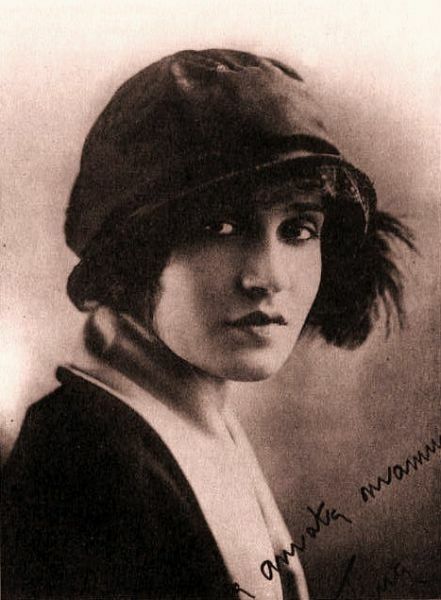 Tina was a popular star in the Italian theater by 1918, and attracted the attention of Hollywood, when D.W. Griffith came to San Francisco looking for talent. Soon after, Tina married Robo in October, 1918 and moved to Hollywood, where she appeared in silent films. Both Tina and Robo became very involved in the Bohemian arts scene flourishing in and around Hollywood. There she met Edward Weston, who had become a friend of Robo's. Tina modelled for Weston and began to learn photography from him. Her husband Robo died of smallpox in Mexico in 1922 while Tina was enroute to join him there. Subsequently Tina and Weston moved to Mexico together and became part of the vibrant scene of political artists that included Diego Rivera and Frida Kahlo. 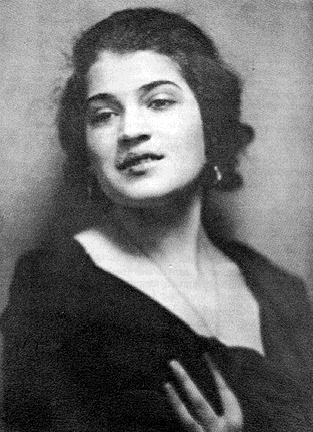 Tina Modotti is probably most famous for her work as a photographer in Mexico, where she and Weston lived for many years.